Queens test prep centers, Kweller Test Prep and Ivy Prep, have recently offered programs to help students get accepted into BSGE. This is the test prep centers’ way of responding to the many cries for help from students and parents that seek aid in getting their child into BSGE, a school that is rising in popularity while decreasing in acceptance rates. New York City has always been famous for its extremely vigorous competition for admission into high schools, middle schools, specialized summer camps, and even elementary schools. Among these popular schools Stuyvesant, Bronx Science, Brooklyn Tech and Hunter have always made the list for low acceptance rates and large applicant pools. But now our very own ten-year old school has been added to this list of schools with competitive admittance. With a decreasing acceptance rate, an increasing number of students and parents are looking for help to get into BSGE. Queens test prep centers are also catching onto this cry for help and creating classes just for BSGE admission prep. “Baccalaureate” is added to lists of schools test prep center Ivy Prep in Forest Hills offers programs for. Kweller Test Prep, which many BSGE students attending there for SAT prep. rated BSGE as the #1 high school and middle school in Queens. Frances Kweller, the main director of the program, spoke about the reason behind adding a prep course just for acceptance into BSGE. According to Kweller, the courses offered to help students get accepted into Baccalaureate include building critical reading skills, advancing students in Mathematics and helping them grow a larger vocabulary. The courses offered there usually have a small group setting of 6-8 students. These courses include a winter crash course from December 23rd to 27th (excluding Christmas Day) from 10 a.m. to 4 p.m. that costs $499. The other course they offer is 104 hours spread out in thirteen weeks that costs $3,499. Kweller Prep not only offers courses but also a video interview with two current Baccalaureate students that is on their website. The two students are Joshua Vaiman 15’ and Kevin Likhtshteyn 14’. In the video, the students explain what the International Baccalaureate Program is and the many advantages and disadvantages of attending BSGE for high school. According to Kweller, both students are multilingual and help teach classes at Kweller Prep, big reasons behind why they were chosen to inform parents and students about BSGE. As for Ivy Prep, their method of test prep is slightly different. They offer individual classes usually $90-100 an hour. Students pinpoint their area of weakness (Math, Writing or Reading), and spend an hour with a teacher focusing on that subject. 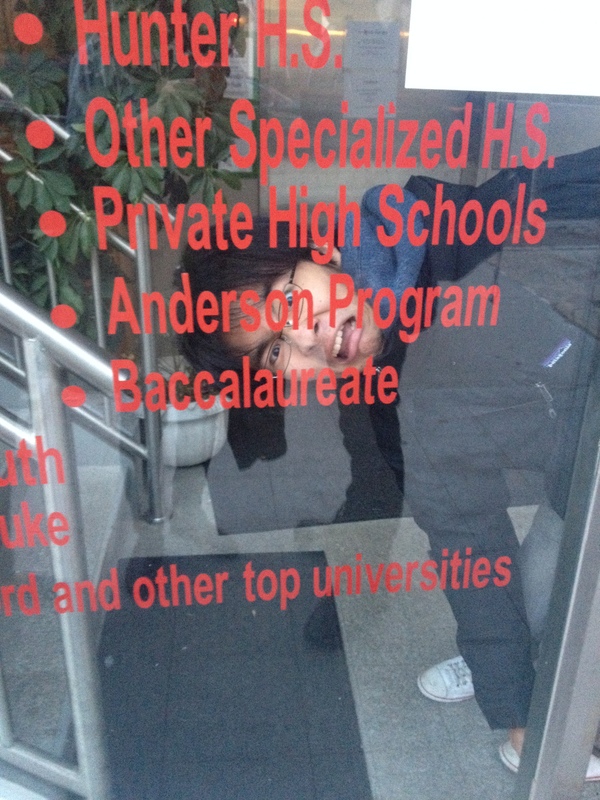 However, according to office manager, Lisa, Baccalaureate is usually a second choice for students. These programs are especially dubious due to the fact that BSGE has never released any information or admissions exams. All of these programs are without the consent and endorsement of BSGE. Many students, especially upperclassmen, are shocked to hear that there is a test prep class for BSGE. The increasing appearance of test prep centers specialized for BSGE admission raises many questions about the future of our school. Will BSGE admissions start emphasizing grades and numbers more so than personality and character? Will class sizes grow larger making teacher-student relationships more distant? Will the “close-knit family atmosphere” that is such a large part of BSGE’s philosophy go extinct? Will BSGE be the next Stuyvesant?